Extends up to 2.9m to allow lasers to be mounted at any height internally, and ideal for the installation of suspended ceilings, trunking or partitioning of offices and new-build homes. Specifically designed for use with Leica's Lino range of cross line lasers but can also be used with any other ¼” or 5/8” thread laser for precise leveling. Holding weight of 45kg. 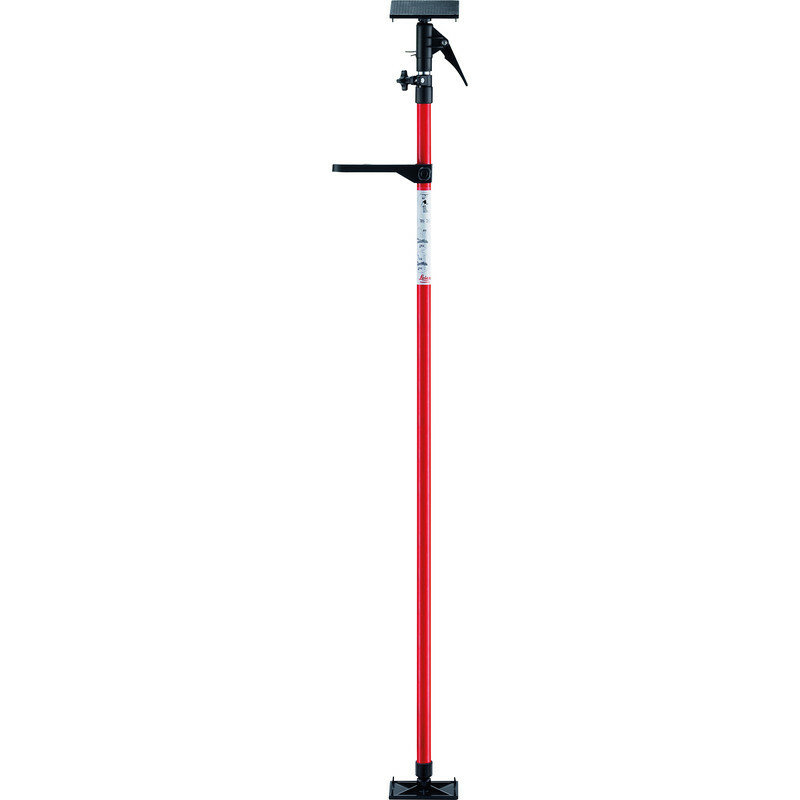 Leica CLR290 Floor to Ceiling Laser Pole 2.9m is rated 4.5 out of 5 by 2. Rated 5 out of 5 by Shauno from A great product The mounting pole for the Lazrer is a top piece of kit, it’s well made and makes setting out a breeze I bought it to mount gas boilers but have also used it to line up door frames, socket back boxes, pipe clips,you name it. Rather than making marks all over the walls and spending ages getting things straight, it makes it all effortless.